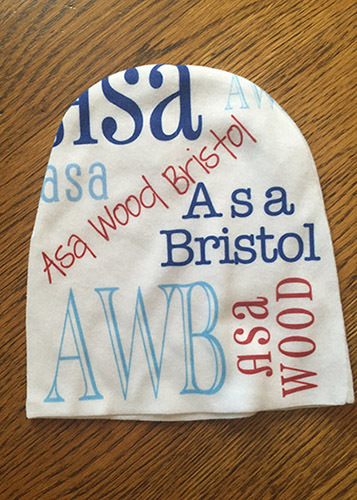 Our Personalized Baby Beanie makes a great gift. This super soft baby beanie can be decorated from edge to edge or just decorate in anywhere you, please. You can get photo realistic images or cool designs or your favorite baby saying! The hat measures approximately 6" x 6" and is nice and stretchy to be comfortable for newborns and infants alike. Now printed and handsewn in the USA, our 100% polyester jersey beanie hat can be flawlessly printed seam to seam with your design and images! Please allow 10-12 days for delivery!